Experts Ashlie and Chris make your stay a breeze. Chris and Ashlie, also known as @thedisneyduoo, are Disney experts. They spend a lot of time in the Happiest Place On Earth, and when they’re hanging out in the land of Mickey, Pluto, and Donald Duck, they love to wear tees from UNIQLO’s Disney Magic For All collection. Thinking about a trip to the Magic Kingdom? 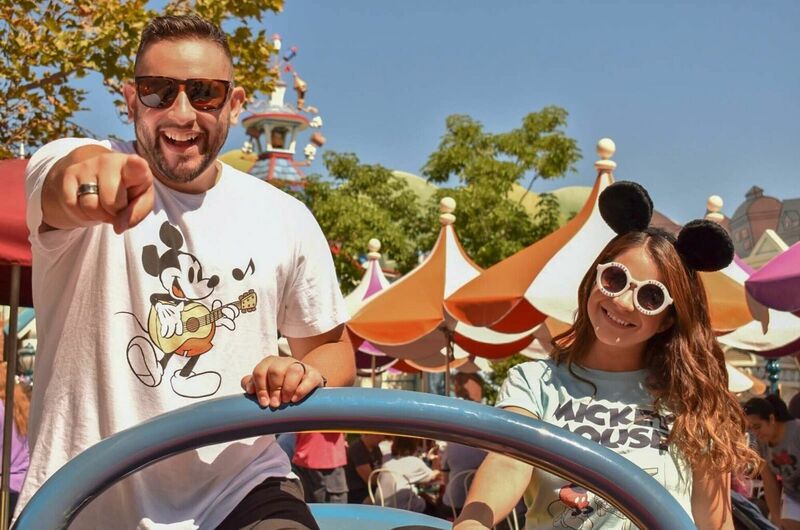 Chris and Ashlie offer up their best park tips below, all while clad in their Disney tee best. Take it away, guys! “The cost is $10, and with it, you can book Fast Passes directly on your cell phone rather than going to the attraction and scanning your park ticket. Bonus tip: As soon as you get scanned into the park, you can book a Fast Pass! Purchasing Max Pass also gives you unlimited photo downloads for the day on any pictures taken on the rides or with a photo pass cast member.